A taco soup recipe can be a great, quick and easy alternative to this traditional dish...with a healthy twist from The Dinner Plan Man. 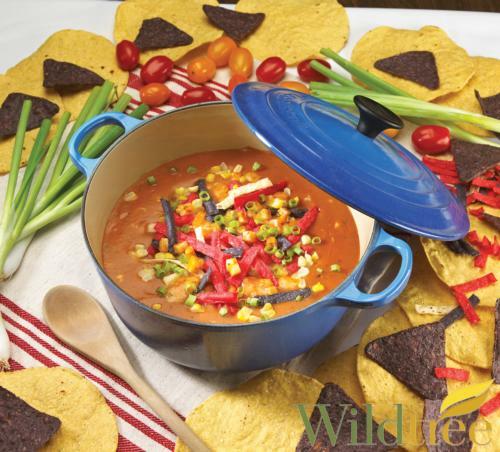 In a large saucepan combine the prepared Chicken Bouillon, Taco Sauce, corn, and chicken; heat over medium heat. Make a roux: In a small saucepan, melt the butter over medium heat. Add in the flour and whisk to combine. Cook over medium heat for 1-2 minutes until the roux is thick and pale yellow. Whisk the roux into the soup. Bring the soup up to a boil. Garnish with shredded cheese, vegetables, and sour cream if desired. 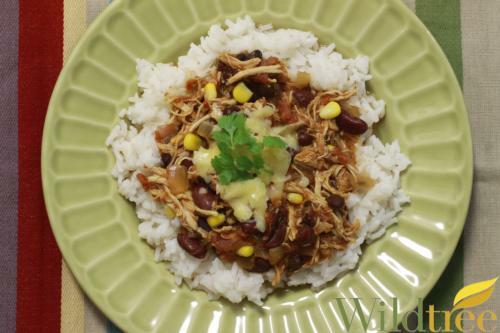 In a slow cooker combine all the ingredients up to the chicken. Once combined, add the chicken. Cover and cook on high for 6 hours. Shred chicken, stir to combine with remaining ingredients. Serve over rice or pasta or in a tortilla as a taco.